disasters and adapting to the adventures of rural life. ends with the celebration of the bridge dedication in 1935. Buy here. Available in paperback. Designed for the very young, this is a sweet-tempered tale of discovery as Carl helps with chores on his grandparent’s Whidbey Island farm. He joins in such everyday tasks as planting garden seeds, feeding the cows, delights in discovering a newborn calf, and along the way shares a snack with a caterpillar. It is a gentle tale told with a conversational tone with beautiful color photographs and the author’s whimsical illustrations enhancing the informative and interesting text. Available in hardcover. For a signed copy, contact the author at avisrector@live.com. How can one young feral dog send so many humans chasing their own tails? When Barb Bland chose to work with Labrador-Border Collie mix at the rescue shelter where she volunteered, little did she know she was about to embark on a wild ride in the forests of Washington. Catching Piki, a sweet-tempered escape artist they named after the Pokemon character Pikachu, was only half the battle. Transforming the fearful dog into a confident, house-trained pet was a labor of love that the author often found daunting, as well as ultimately deeply rewarding. 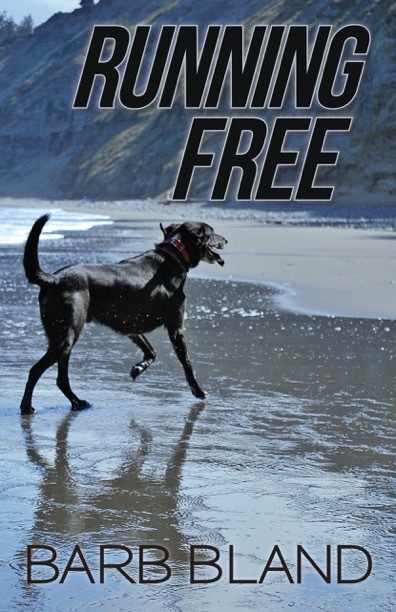 Running Free is the rollicking and inspiring chronicle of Bland’s enduring friendship with Piki, and her humorous account of her on-the-job training is an illuminating study in perseverance and compassion. In addition to sharing an entertaining story of a sweet, wary dog on the lam, this heart-warming account explores the hard work of love, while illustrating how a person can help a dog that is doomed as a “throwaway” to become a loving family pet. Frequently funny and rich in insight on how to work with rescue dogs, this playful, poignant memoir celebrates how every dog can have his day. Click here to buy. Available in paperback and ebook. 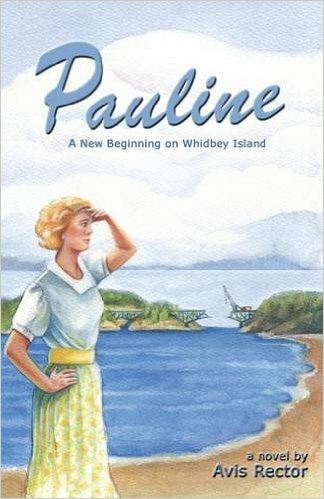 All profits are donated to Whidbey Animals’ Improvement Foundation (WAIF). While Jack Burgess is writing a magazine story, an unknown force propels his consciousness eighty-four years into the future. 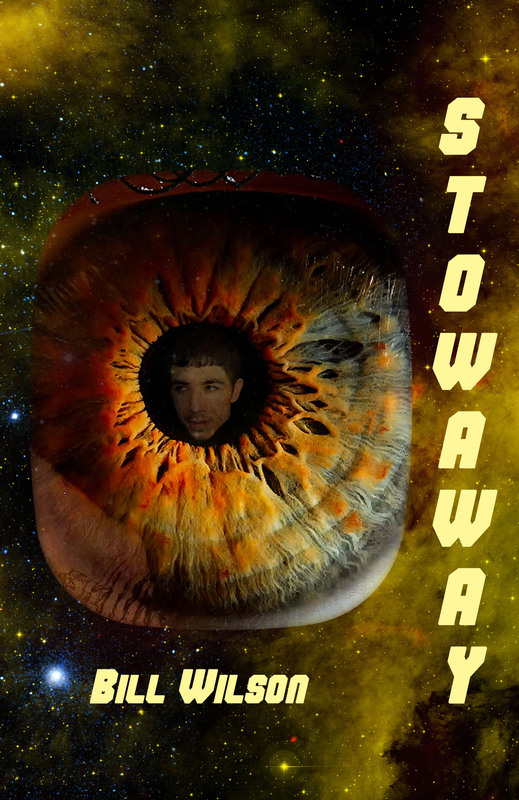 There he finds himself an unwitting stowaway aboard a Mars-bound transport – trapped inside the mind of ship’s navigator Jorge Cedeño. Will Jack merely observe? Or will he somehow influence Jorge’s approach to a risky mission and, perhaps even more dangerous, Jorge’s ambiguous bond with ship’s captain, Kala Milloy? And if Jack should ever return to his own time and body, how will the experience impact his own bond with wife Jennifer? 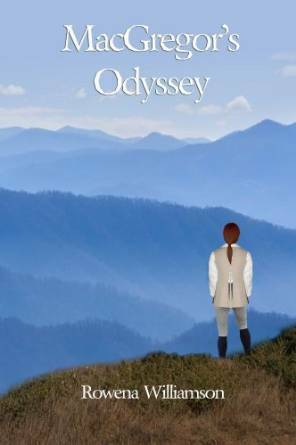 Within this impossible scenario, the author has created a character-driven story, as much about human relationships and human destiny as travel from mind to mind and through time and space. Click here to buy. Available in paperback and ebook. 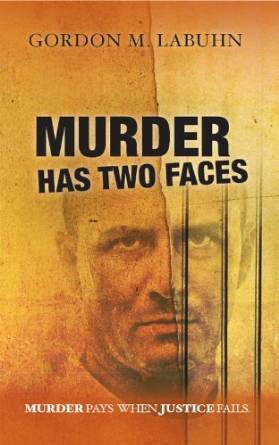 Murder Has Two Faces challenges the reader to discover who is killing ill prison inmates so that guilty cons on death row can walk to freedom. 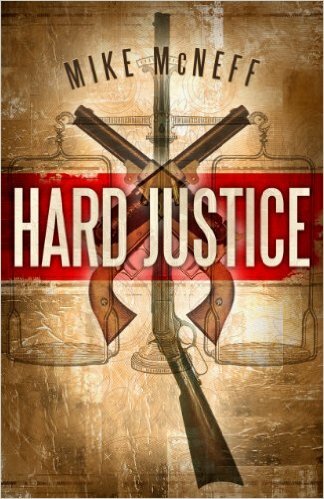 The mystery is magnified by pressure on Judge Knoche to find the killer before a prisoner is released and finalizes his threat to kill the judge. Lovers of mysteries will find this 81,500 word story an intriguing challenge. There are glimpses of the prison violence found in Mary Seattle’s “Killing Ground”. Death chamber fears conveyed by Stephen King’s “Green Mile”, and good old fashion Sherlock Holmes detective work. The killer must be exposed! Where is the kjiller hiding? Who will be next? The suspets are few. The killer’s cover-up is a masterpiece. Tell tale signs are difficult to find, but they are in plain sight. False images, false perceptions, and false expectations provide a hiding place. The doctor, nurse, priest, nun, and three guards are suspects, all of whom strive to expose the killer. Legal manipulation, team analysis, scientific testing, and futuristic electronic technology fail to fracture the woven wall of falsehoods. 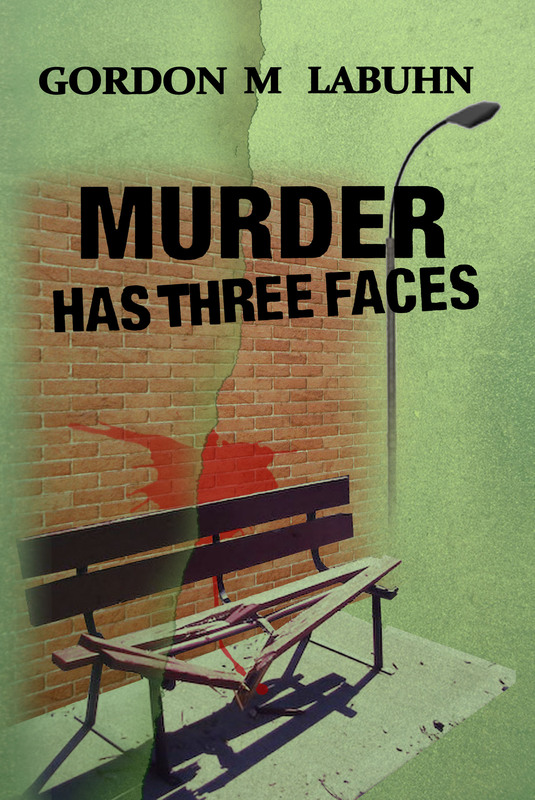 Only careful observation can penetrate the false images to reveal the identity of the killer. The judge is determined to catch the murderer. Will you know who the killer is before the judge does? Robert Knoche & Richard Tabbelle, retired judge and prosecuting attorney, move from rural Ohio to San Francisco. They venture into retirement careers as private investigators. It is a rough transition involving murder attempts on their lives as they experience direct contact with those who control the shady side of life. Their efforts to work closely with the police homicide division is fraught with firmly established animosity and resistance. Their inerxperience as PI’s plays havoc with the timing, techniques, and their investigative skills. Through an innate sense of humor Knoche and Tabbelle are able to side step the traditional investigator’s role, and maintain a positive attitude when confronted by negative pressures. Mike Stenson, a wealthy financier is their first client. His wife is brutally murdered. The interweave of events and contradictions of clues seemly shatter rules of logic. Even though all the clues to solving this murder case are incorporated in the story, sorting out the real from the superficial is a challenge. You will walk side by side with Knoche and Tabbelle seeking to discover the idenity of the killer. In the mid-twentieth-century, school gangs were the norm in Detroit, Michigan. Poor eyesight was the impetus for organizing the AFO gang. 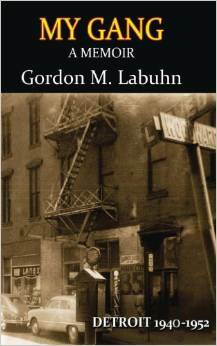 The episodes in this memoir are a vivid account of one man’s youth in the rough-and-tumble neighborhoods of northeast Detroit. They are hilarious yet heart-wrenching, light-hearted yet deadly serious with moments of reflection and wisdom. Enjoy the veil of humor that cloaked the gang’s mischievous and dangerous activities. Experience the norm of city life during recovery from the great depression. Gain insight into the adolescent mind as it copes with parental guidance, educational pressures, law enforcement restrictions, and life dreams. Enhance your understanding of the historical time, the opportunities available and barriers faced by the youth. 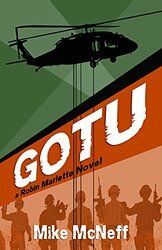 The nineteen episodes in this memoir take you into the woods with hatchets, through a break-in and its consequences, confrontations with the law and another gang, thievery planning and its execution, a midnight excursion among bull dozers, teenage sexual encounters, confrontation with death, and finally the gangs’ demise as its member’s transition into the world of labor and responsibility. All this and more with a dose of humor befitting a court jester. The episodes are true, but the names have been changed to protect the guilty. Even though this is a memoir of the gang leader, a Puffed Up Definition section is included for your entertainment, and brief family background of the gang leader is appended to provide a reference point for this historical drama. May 1899: Luska, “almost eight”, lives with her pregnant Mama and disabled Papa in a shtetl—one of the small villages that dot the Russian countryside. A clever and resourceful girl, she knows why everyone in her village worries about pogroms. But her parents’ teachings and whispered fears can’t prepare Luska for the coming horror, when the Cossacks destroy her shtetl, and everything, and everyone in it. By luck she is spared, but left orphaned, alone and with only a bundle of old clothes. The memory of her parents helps her, and she finds her way to the city. But their memory can’t truly protect her from deceit when Rabbi Hershel and Rebbetzin Naomi Zedek take her in. 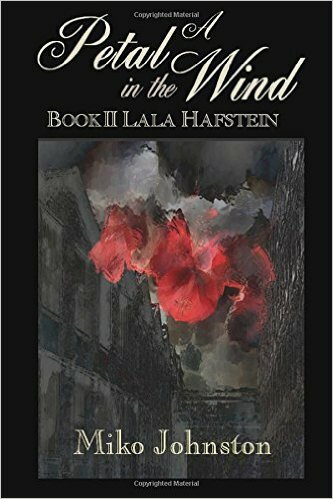 Luska, the orphaned girl introduced in A Petal in the Wind, begins a new life in Bohemia as Lala Hafstein, adopted daughter of Jakob and Sarah. It’s 1914; Lala is now a young woman with one desire—to study art—but her parents won’t let her reside alone in Prague. She contrives a marriage to her childhood friend and art student Armin, her father’s wealthy employer’s son; she would be free to join him, and he could silence gossip about his disinterest in women. Armin agrees, but Lala’s heart is troubled. Both families are thrilled about the engagement, and now Armin is too—believing they can make the marriage “real.” Lala is shocked when she uncovers proof Armin and his male classmate are more than just good friends. But with both families intent on the marriage, how can she renege? She’s haunted by a recurring vision—at her easel, and feeling the warm embrace of her true beloved, unseen behind her. How could this splendid dream ever come true? As both families travel to Berlin for Armin’s art show on August first, a desperate Lala devises a way to change her destiny—but no one is prepared for the horror that begins that momentous night. 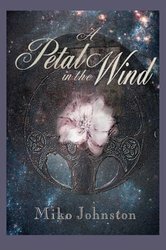 As the world around her plunges into war and fate drops a surprising hint about her repeating dream, Lala finds she must battle the nightmares of the past, or risk being set adrift again—like a petal in the wind. On April 16, 1746, Ailis (15) and Liam (16) are caught in the devastating Battle of Culloden and meet in the aftermath as British soldiers scour the moor, killing survivors. Together with Liam’s Scottish Deerhound, Duncan, they hide until they can escape.The British are sparing no one–young or old, male or female–to make sure the Scots do not rebel again. 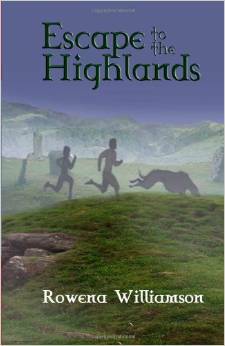 This begins their terrifying journey into Scotland’s Highlands in search of safety. Pursued by the English officer, Carstairs, whose cold voice they first heard as they hid near the battlefield, they are helped and betrayed by other Scots. They find safety for a while with men protecting Prince Charles Stuart, heir to the Scottish throne. But are they really being protected, or are they going to be used to lure the English away from Bonnie Prince Charlie? Ailis and Liam take shelter in ancient stone circles, where Duncan sees things they can’t, and where Ailis has dreams that guide her. Liam, from a family of bagpipers, had gone to Culloden with his father, to pipe the men into battle, sees that war is not the exciting thing he thought it was, and retribution after the war is destroying Scotland. Always, as they travel, Carstairs seems to find them, and as the mountains grow steeper, the enemy always after them, they grow closer to each other as they endure hunger and fear, and hope begins to fade. And Ailis’s dreams grow more frightening. Historical novelMacGregor’s Bargain by Rowena Williamson For half a century, the Jacobites have rebelled against Britain in an attempt to reclaim Scotland’s throne for the exiled House of Stuart. Now, tensions are building and the Battle of Culloden looms in the future, with the fate of Great Britain at stake. It is the summer of 1744 and Scotland is about to change forever. 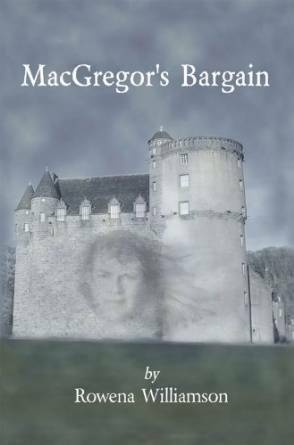 Set amidst the mysterious, sweeping mountainsides of the Scottish Highlands and in the seductive city of Paris, MacGregor’s Bargain is a gripping story of love, loyalty and betrayal, hope and devastation, and accounts of human strength and vulnerability buried between the pages of history. In light of the ongoing Jacobite rebellion, Niall MacGregor, a wealthy soldier of fortune, member of an outlawed clan, sees hope for a free Scotland, and a chance, by marrying Anne Drummond, disgraced heiress to a castle on Loch Laggan, to own land and start a dynasty. Anne, whose behavior has made her an unsuitable bride for any man in her own class, accepts the marriage as a way to protect her people. But she sees horrifying visions of bloodshed and destruction. Niall is determined to fight for Scottish independence, and Anne is cursed with the power to know the outcome. Torn between her loyalty to her husband and her loyalty to the clan she is destined to protect, Anne must make a choice, harder after the birth of a daughter. A close friend is thought to be an English spy, causing a rift between Anne and Niall. Anne grows to know her husband, and develop love for him. He still seems to see their marriage as a mere bargain, making their destinies unclear as ominous signs of Scotland’s fate develop. But what does destiny have in store for them? Can the Jacobites disprove Anne’s visions and finally defeat the British? And can Anne and Niall find love before it’s too late? The Battle of Culloden is over, but the British war or attrition continues. Redcoats sweep through the Highlands, tracking down and killing the Jacobites who fought against them–and many people who didn’t. At Castle Caorann, Anne Drummond and Niall MacGregor are together–for a while. But the aftermath of war threatens their land, and their lives. Forced to flee from vengeful troops, losing beloved neighbors, MacGregor, Anne, and their infant daughter must escape with the MacGregors who fought at Culloden, as well as young Fergus Drummond and his sister . Through the rugged Highlands, hiding from redcoats, they search for safety, finding the horrors of Royalist vengeance everywhere they go. 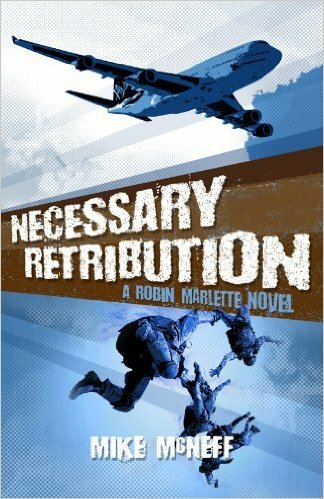 When they are forced to separate, women and children must travel alone, and in their journey they see military might at its most evil. Francis Hepburn, a Royalist officer and friend, appears at a point when Anne has lost hope, while Niall and his men escape capture–for a while. Anne might be safe, but the MacGregors are hunted across Scotland, and into the New World, to a wild land and an unknown future. Redheaded, strong-willed Jessica Stewart, fleeing the social life in 1885 San Francisco, arrives in Carson City to care for the children of her widowed brother, who is a county judge. Shortly after, the Dorns, a band of unwashed, rather dimwitted men, kidnap the children to bargain for the life of their jailed brother. Enter rancher, tracker, and ladies’ man Colin Ryan, who joins his Paiute friends to find the Dorns and their victims. Unfortunately for Ryan, Jessica has decided to come along, and nothing he may do can dissuade her. As determined as Ryan is to lose Jessica on the difficult trail through the High Sierras, Jessica is just as determined, for the sake of the children, to follow, despite miserable riding conditions, saddle sores, and a surly host. Eventually, Ryan begins to notice that Jessica is a woman, and he finds it more and more difficult to focus on the task at hand. Jessica and Ryan brave harsh wilderness, bears, and fear for the children, and along the way they begin to treat each other as equals. Too bad the growing attraction between them may endanger not only the children’s lives, but their own. 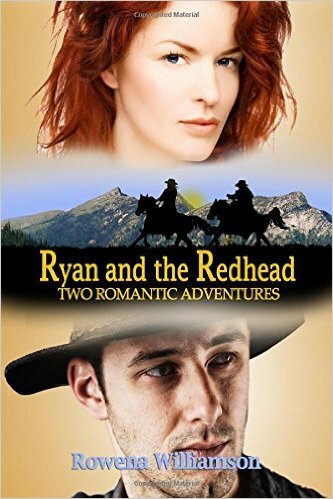 Once again Ryan and the Redhead are sparring. Does she accept his proposal of marriage? Only on her conditions, which take them across the Atlantic to a haunted castle in Scotland. 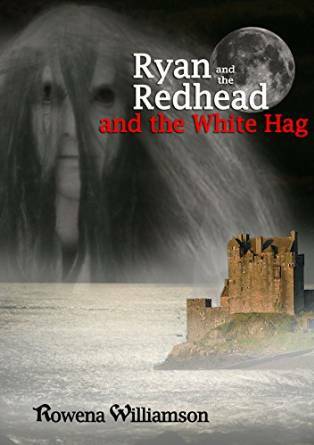 They meet a laird who is afraid to marry the woman he loves, a Deerhound who seems to know more than he should, and something evil in the basement. Click here to buy. Available in ebook.